Whether it is for new installations, repairs or ongoing maintenance, Laser Plumbing Newcastle Central can help with roofing and spouting. We provide 'Totally Dependable' maintenance for roofs and gutters, serving clients across Newcastle, the Hunter Region, Central Coast and Port Stephens. The roof is an important investment within the total home package. The roof and guttering must be kept in good condition to ensure your property remains weatherproof. It is important to have working clear gutters that channel water off your roof. If these aren't maintained they can develop leaks and blockages which can cause serious water damage. Laser Plumbing Newcastle Central can repair damage and help maintain your roof condition to prevent destructive leaks. Protect your home and valuables against water damage by regular maintenance checks. 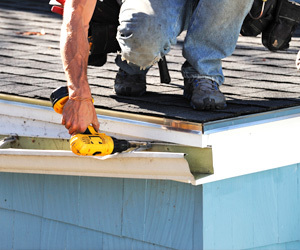 We can ensure your home remains weatherproof by setting up a preventative maintenance schedule to clean out your gutters on a regular basis.